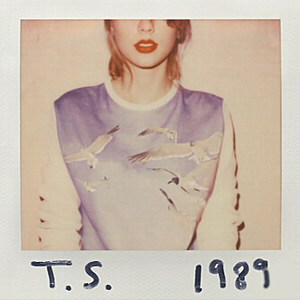 Taylor Swift Announces New Album "1989"
Taylor Swift revealed plans for a new, ’80s pop-inspired album and shared a brand new single with fans during a live stream on Monday afternoon. In addition, she dropped a bomb, sharing that her sound has taken a big change … one that mirrors changes in her personal life. The 24-year-old revealed that ’1989′ will be the name of her fifth studio album, the follow-up to 2012′s ‘Red.’ In addition, ‘Shake It Off’ is her new single, and the album is her first “official documented pop album.” It’s in stores October 27. “Basically, this is a song I did with Max Martin and Shellback,” Swift said, referring to the ‘I Knew You Were Trouble’ songwriters. They set out to make something like nothing they’ve created together or individually before. It’s a response to the false rumors and attacks she’s so frequently a target for. “The players gonna play play play play play / The haters gonna hate hate hate hate / I’m just gonna shake it off,” she sings at the chorus. Swift had been teasing fans with the announcement for over a week, revealing clues on Instagram. Finally, she revealed all would be answered during her Yahoo stream. The pattern follows how she unveiled plans for ‘Red’ two years ago.